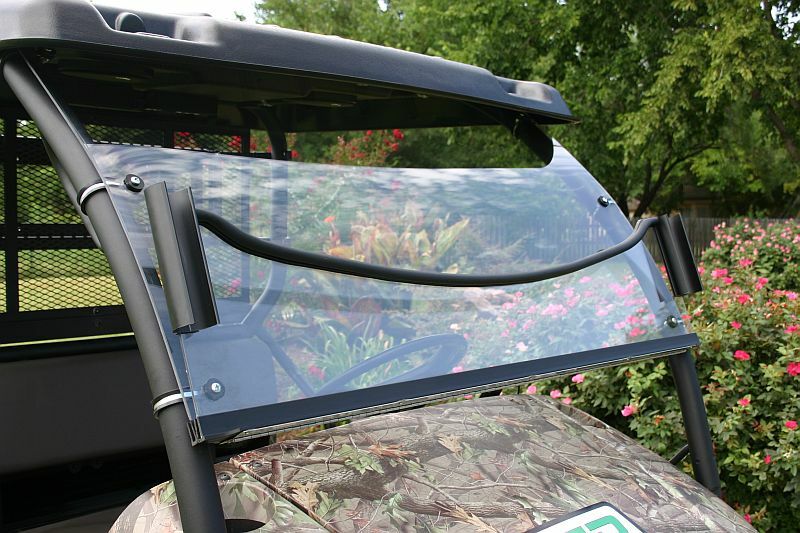 We have designed a new and innovative windshield for the 600 and 610 Mules! The dealers asked for it and it is now here! This is simply a MUCH better windshield than other offerings. Over 500 640 of these windshields have already been sold within the past 5-months! Call us about them, today! 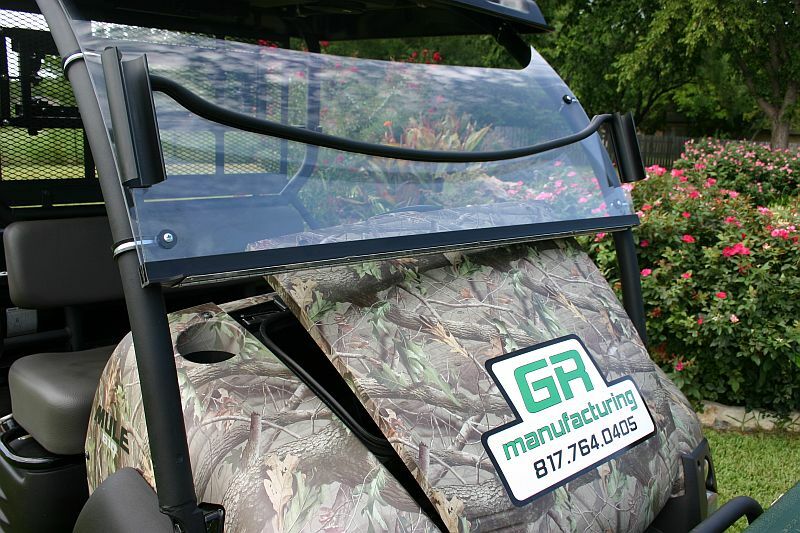 Yes, you CAN trailer your Mule (at normal highway speeds) with this windshield installed! Very fast and simple installation. 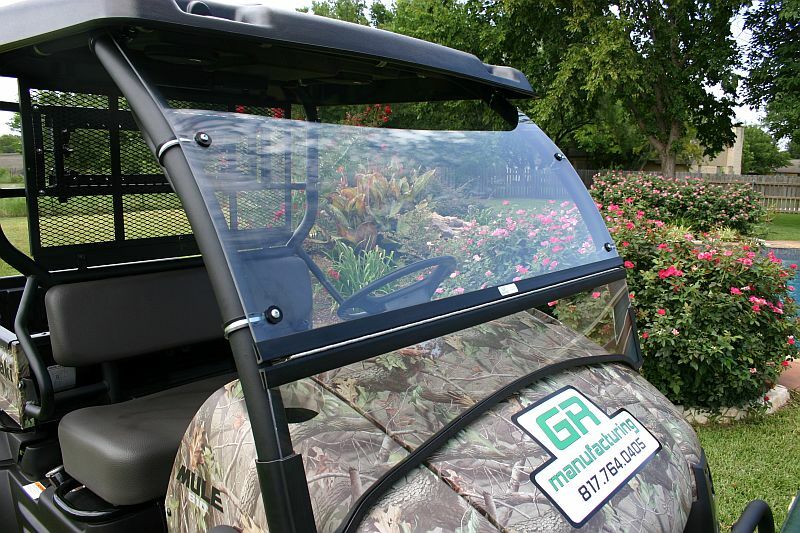 Your service tech’s will only spend about 10-minutes (at the most) installing this windshield. This of course saves time and money toward the bottom-line (ie: profits) of your dealership. When a tech can install a product quickly, it saves huge labor dollars! 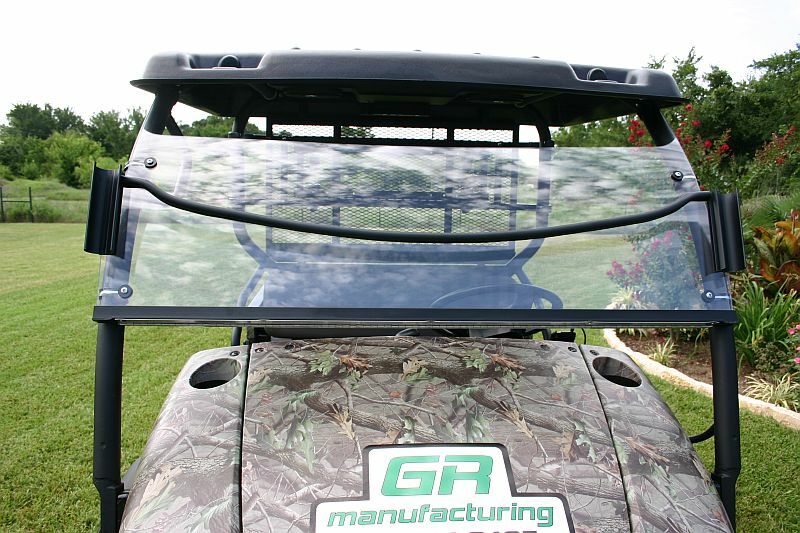 Custom extrusion (which connects the stainless steel hinge system) is custom made to attach to our polycarbonate windshield sections. We even use aircraft rivets to secure the hinge to the extrusion! This windshield is TOUGH! 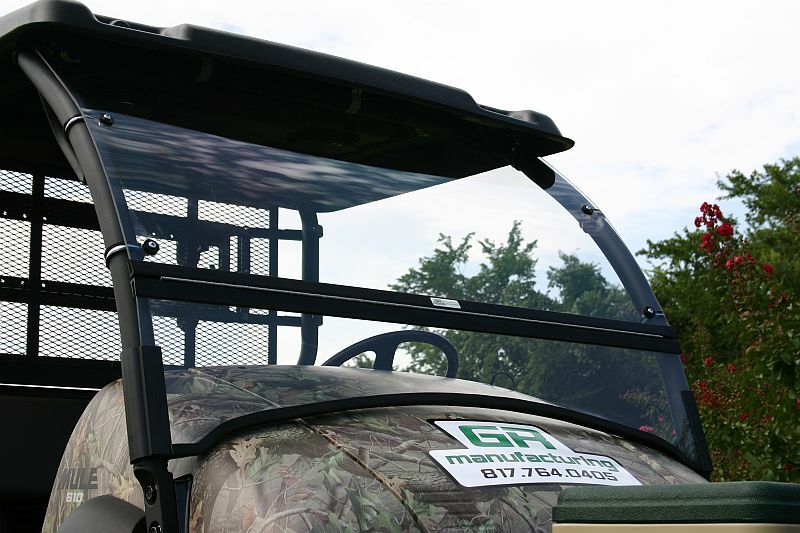 Windshield is hinged for three main reasons: access to the underhood storage, ventilation while riding in hot weather, and to be raised into the open position while towing on a trailer. Yes, you do have ample access to the inside, underhood storage! The hood opens plenty, to allow you to easily see under the hood and into the storage area (the photo doesn’t do it justice). You can easily reach into the storage area, easily see completely inside the storage, etc. Some folks ask us why the hood doesn’t fold open 100% of the way? The answer is two-fold. Most importantly, when we designed the windshield, we did have it opening all the way. However, when we sent out 10 prototypes to our dealers to try out, 10 out of 10 had a simple concern that we needed to solve: when you drove the Mule with the prototype design, the hinge section was directly in your line of sight…whether an adult was driving, or a younger person, the hinge was too high and in the drivers line of sight. So, we moved the hinge section downward so that it no longer interferes with your vision, while at the same time, it does still allow ample access to under the hood! To easily access the underhood storage, the hood doesn’t ‘need’ to open 100%. With our design, you can still see everything in the underhood storage compartment, easily take contents in and out, etc. 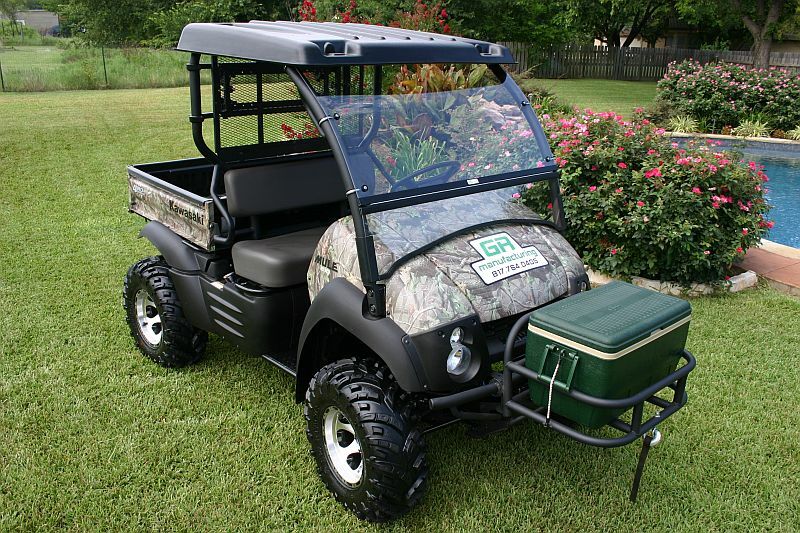 We have had phenomenal reviews on this product from our extensive dealer base! In their short time available thusfar, these windshields are already in service all across the world. From military bases to actual combat zones, we have had dealers ship these products installed on 600-series Mules across the globe. In addition to hundreds of retail customers, many other corporate venues have purchased these new windshields. From hunting guides, to real estate agents, to Scout ranches, to professional NFL football stadiums… we have these proven products in service! More affordable than ANY of the factory offered windshields, and tremendous quality. Free shipping is offered on these products, when ordered in combination with our other products, with VERY low minimum order requirements. Please call us for the simple details.